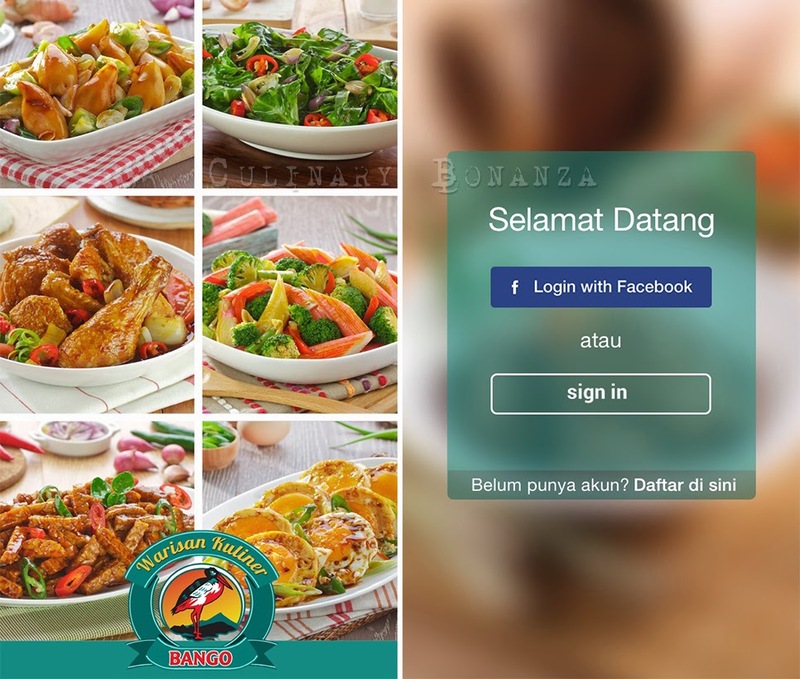 Download Bango App: Eat, Review, Share & Win Some Cool Gadgets! Yes, you read the title correctly, indeed there is an app that makes it possible and I'm about to share with you what this app is...Curious curious? As someone who eats (a lot) of International food, I can't deny that from time to time, I still crave for some juicy Sate Ayam, Nasi Goreng, Soto Mie and many other Indonesian dishes. But often times, I would be at a loss of ideas of where to find them (yes, a food blogger is not a walking encyclopaedia, we get lost too sometimes! LOL). So what I normally did was ask around my friends for suggestions or ideas, but sometimes the location of this sort of 'hidden gems' are almost too much trouble to navigate alone. As such there had been times that I would just give up and stick with the 'safe' options: average tasting, pricey Indonesian restaurant in the shopping malls. But guess what, now that circumstance might just change soon, with the arrival of this new mobile application. 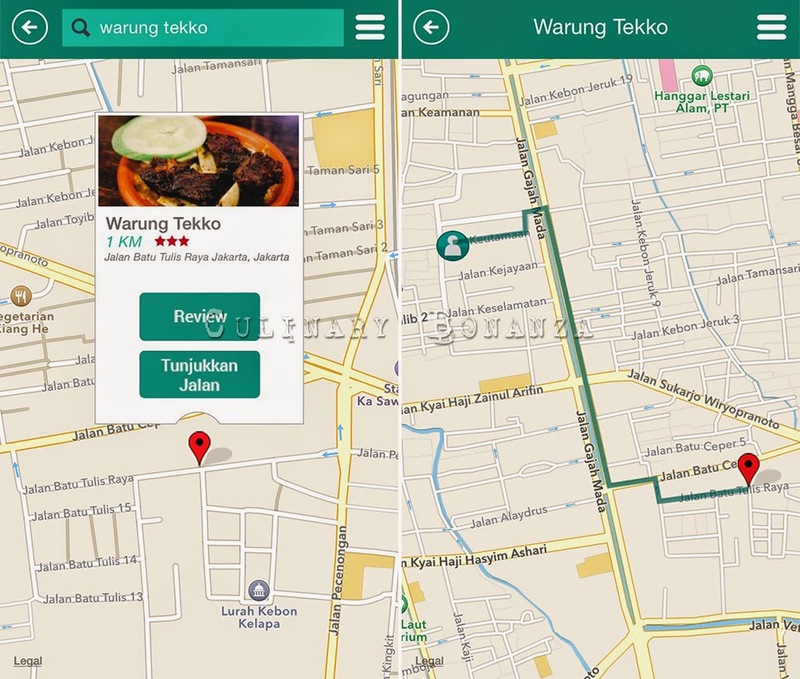 With this app, we would be able to find great Indonesian food nearest to us, read the reviews and ratings from other users, and it even comes with a map that will show us directions to find the location! I have always wondered where Nasi Uduk Kebon Sirih really is located (I know it's at Kebon Sirih, but where exactly? ), with this new app, I will finally be able to locate it without getting lost! YAY! 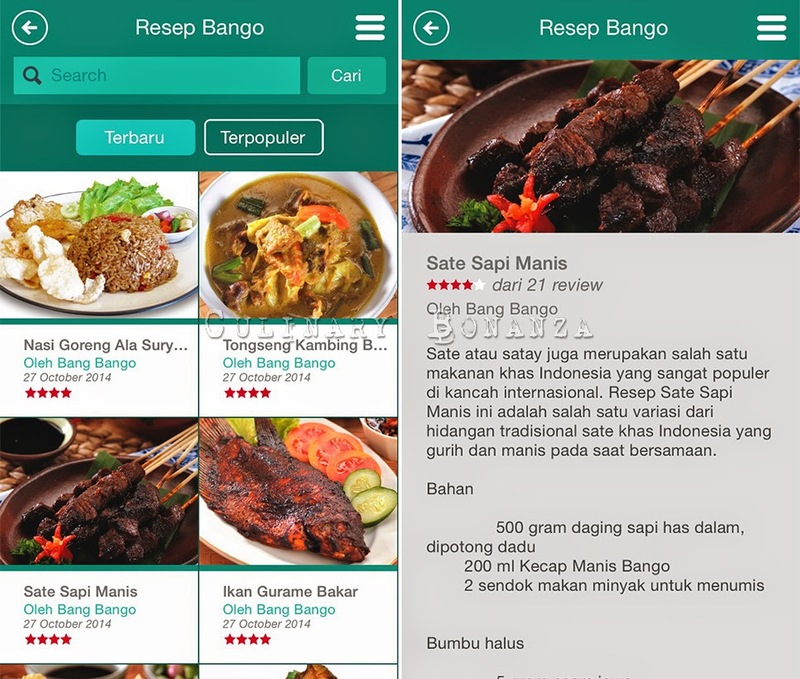 This new app is the newest campaign of Kecap Bango, in its effort to promote Indonesian cuisine to both the locals and basically anyone using the app. 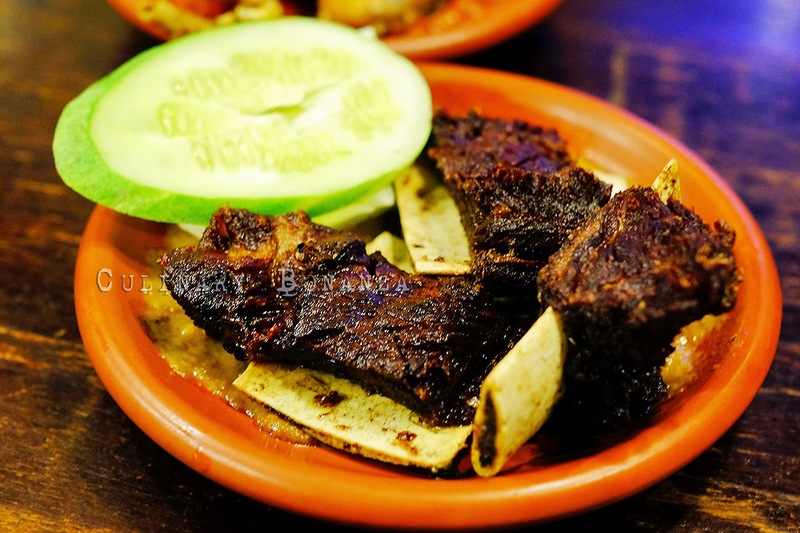 So I started using the app right away to find a place to eat Iga Penyet (fried beef ribs served with sambal). And the nearest location turns out to be Warung Tekko, which is 1 Km away from my location then. Without further ado, I made my way there by following the direction provided. So, after taking photos of my dinner, I immediately launched the app to share my yummy dinner with other users! Firstly, we have to sign up for a new account or connect it with our Facebook account, simple & quick. Next, type the name of place / food, if the place already exists in the database, it’ll show the various locations on a map. If the place that we’re eating at is not in the database yet, we can just easily submit a new location, which will come in handy for other users looking for the same place in the future. This app is a user oriented app after all, so users are encouraged to actively participate and update the app. Allow the app to access our location so it can give a recommendation for the nearest places to eat. Then start writing reviews / stories about our eating journey! Browse from the suggested places, which can be sorted out based on the distance from our location, time or popularity. 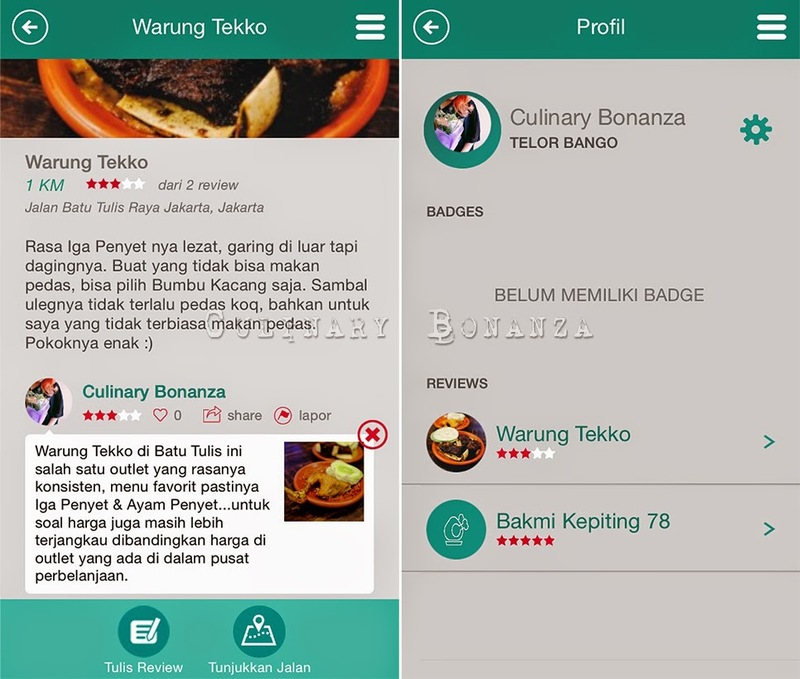 On the main menu, there’s even a recipes tab, where we can find the recipes for all-time favourite Indonesian dishes. The app is available on various operating system platforms and it comes for free. So, what are you waiting for, download the app today, start sharing your reviews as many as you can until 30 November 2014 and pray that you are one of the top 3 users with the most reviews, to win either a Samsung Galaxy S5, iPad Mini or Samsung Galaxy Camera! I have started writing my reviews already, have you?